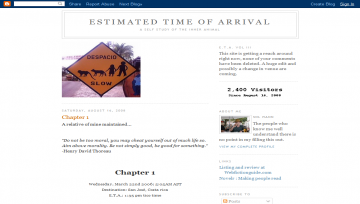 "A Self Study of the Inner Animal"
Estimated Time of Arrival, Vol III by Sol Mann is a humor novel updated every few days. Estimated Time of Arrival, Vol III has not been reviewed yet. Estimated Time of Arrival, Vol III has not been recommended yet.